There are many users reporting an issue for iPhone won’t charge or showing black iPhone screen even plug-in power adapter/ Lightning cable only showing. Before that follow the strict rules and some mind some point on some situation declared in this article. Most users are facing problem on when they are charging iPhone through Laptop or Desktop via USB lightning cable, or iPhone won’t charge in the car. For charge iPhone, if you know you need 8 pin connector for iPhone 5/ 5S, iPhone 6, iPhone 6 Plus and iPhone 6S/ 6S Plus/ iPhone 7/ 7 Plus, iPhone 8 (Plus), iPhone X. 30 Pin connector: iPhone 4S or Earlier iPhone generation. If you are Charging through any converter for then that’s not the correct way to charge your device in Apple’s terms and conditions. You can purchase in one cup coffee price dollars from here. Some case your power adapter or wire might be short, So power leakage can damage battery (Short circuit) or iPhone. – Then try with another cable. if your iPhone automatically turns off due to the very low battery (less than 1 percent). Then whenever you charge or turn on from the plugged power cable. Your screen showing below screen for 10 minutes. The iPhone will automatically start up. – For the iPad turn on time is 20 minutes. Note: You can’t turn your iPhone like android or other smart devices. 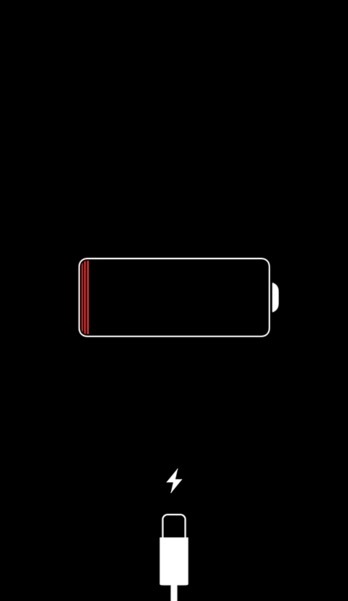 iPhone/ iPad takes some required battery before you try to start with sleep/ Wake button. After connecting, it will automatically start. Make sure your power outlets correct and working with other electronic devices (Laptop/ PC/ Other smartphones). just restart your device, in charging conditions or Force restart iPhone. Get brief about way of restart iPhone. if you have an electronic items cleaning kit, Available on Amazon or iKlear will clean debris from USB slot or 8 pin connector slot. Still, you faced problem on iPad or iPhone won’t charge then contacts Apple support center in your country.